$150.00 In stock - low quantity. Order in the next 7 hours, 47 minutes and it will go out today! In stock - low quantity. Order in the next 7 hours, 47 minutes and it will go out today! Why use boxes that only perform a single production when the Tora Glassy Box can do it TWICE! 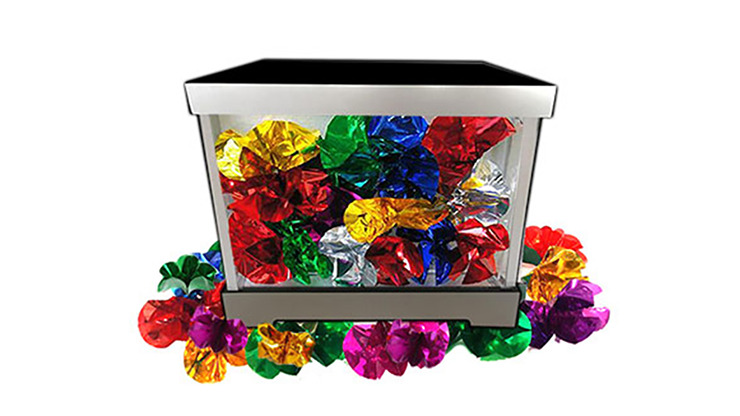 You display an empty box for the audience, but suddenly it fills with colorful flower objects. 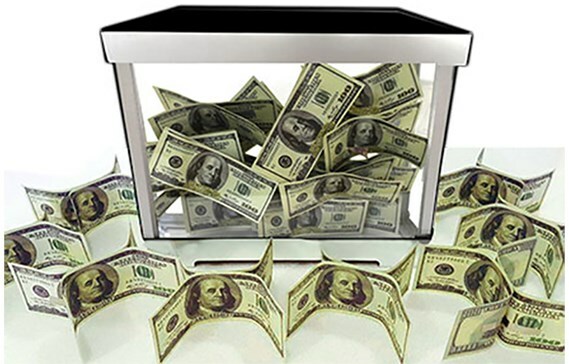 Just as you clear those out, now it fills with money! An astounding display for your audience! Surprise your audience in a truly visual way and order yours today! Includes: 1 glassy box and production items.